Call a DREAMS Resorts Wedding Specialist Today! Looking for something different? Let Mexico Vacations and Travel book your Dreams Destination Beach Wedding in beautiful Cancun, Riviera Maya, Los Cabos, Puerto Vallarta, Hutulco and more. Dreams Resorts also offers Destination weddings in the Carbbean including Dreams Punta Cana and Dreams Palm Beach. Save yourself the hassle! A Dreams Resort Destination wedding is far less work than a traditional wedding. Dreams offers a Free Destination Wedding with minimal requirements and include wedding planning packages and services, meaning the details get taken care of for you. Add up the travel, the dress, the reception bill, and you may be surprised to find out that destination weddings are far less expensive than traditional wedding. Fill your photo album with wedding memories that last a lifetime. Your new life will begin in the backdrop of Caribbean sunsets, sunny days, waves kissing the beach, and unique romantic adventures. Imagine the ambiance of the tropics, moonlit horseback rides on the beach, or a seaside candlelight dinner with your new love. Let Dreams help you with all the plans while you'll be free to relax at the Spa or have breakfast in bed. Enjoy the intimacy of your suite, 24-hour room service, and the aroma of flower petals and scented candles. From the ceremony to the reception, Dreams will ensure that you and everyone in your party enjoys a unique experience. Your ceremony can be our treat! 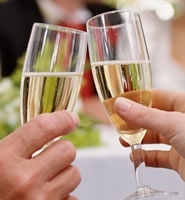 Stay seven or more nights in the minimum required room category and your wedding ceremony will be our gift to you. Additional wedding packages and extras are available at extra cost. This package is complimentary when booking a Honeymoon Suite category or higher for a minimum of 7 nights or if 5 rooms are reserved for a minimum of 3 nights in any room category, this package also applies for renewal of vows ceremony. *We want our wedding couples to treasure their special trip forever! As our special gift to those who tie the knot and stay with us for a minimum of seven nights, we will provide them with a framed memory of their choice in a silver, Dreams photo frame. Click here to upload your photo. Restrictions/exclusions: Subject to Availability & Double Occupancy Only. Prices subject to change without notice. Note: This package cannot be combined with the Dreams Eternity Honeymoon package. Restrictions/exclusions: Subject to availability and double occupancy only. Prices subject to change without notice. · Continental Breakfast in bed the morning after the Ceremony. Note: Package Inclusions cannot be exchanged or substituted, and are subject to change. This information is subject to change without notice; please contact us directly for up-to-date information and requirements.